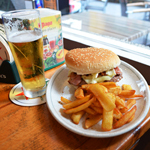 One of the most unforgettably mind-blowing experiences to be enjoyed on Tenerife is to be had when there’s a low, grey, cloud blanket blotting out the sun. 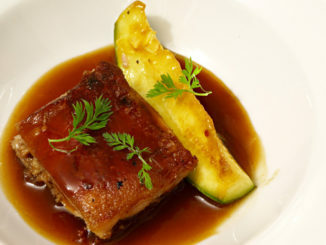 That’s the time when the mar de nubes (sea of clouds) is at its most spectacular. 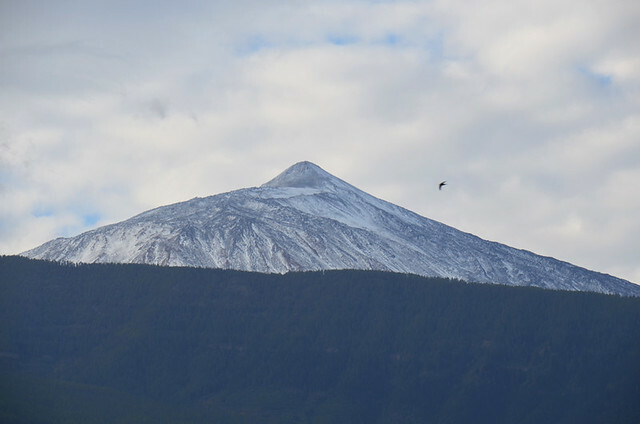 The mar de nubes on Tenerife. 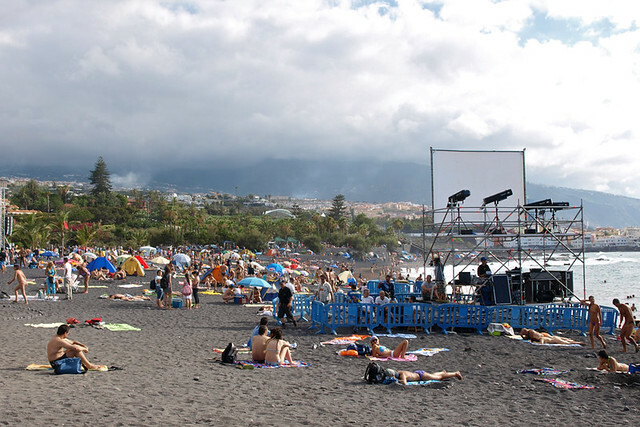 There’s a meaty meteorological explanation regarding why Tenerife is an especially good venue for gazing over a fluffy, white duvet of clouds – it involves a meeting of the cool, humid trade winds which breeze in at a low level from the north east and hot, dry air from the south lording it over the island at above 1500m. The hot, southern air prevents the cooler winds from rising, basically acting as a lid which keeps the cool, trade wind clouds compressed at around the 800-1000m above sea level mark. Looking over a sea of clouds above the south of Tenerife. There are a couple of aspects to the trade winds people don’t always understand. Their existence doesn’t mean windy weather on land. The name was coined by mariners who used air currents to navigate and establish trading routes between Europe and the Americas and then the Americas and Asia. 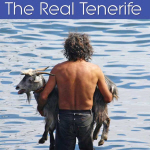 They are also more prevalent between late spring and mid-summer – which is why the weather phenomena known as the ‘belly of the donkey’ can especially affect some northern parts of Tenerife during that period. Subsequently late summer/early autumn and winter can be a lot sunnier than the height of summer. They’re also partly responsible for making some destinations popular holiday resorts as the trade winds can bring a cooling sea breeze in summer, making the likes of the Canaries a far more desirable/comfortable destination than other locations in southern Europe. Ironically, when lots of Brits head to southern Spanish coastal resorts on the mainland, many Spanish escape their oppressive heat for ‘better weather’ in the Canaries. 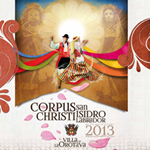 The belly of the donkey, a regular at the Noche de San Juan fiesta in June at, Puerto de la Cruz. Although being under the ‘donkey’s belly’ at the coast might be the cause of disappointment for sun-seekers, for anyone interested in memorable experiences rather than ones you can find anywhere which enjoys a warm and sunny climate, the arrival of the donkey should be viewed as an opportunity to witness the sea of clouds. 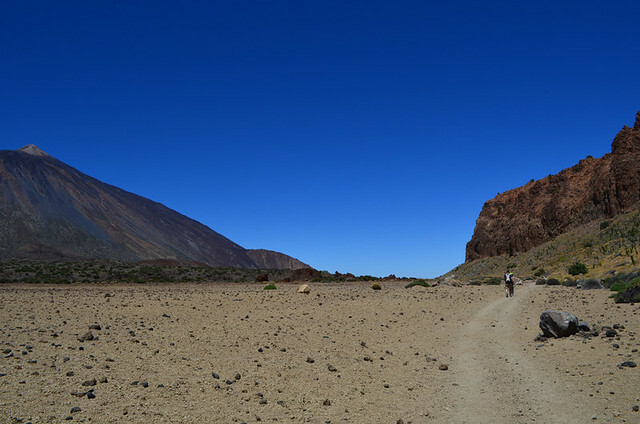 Don’t go looking for the sea of clouds when there are clouds above Teide. There’s a simple rule. 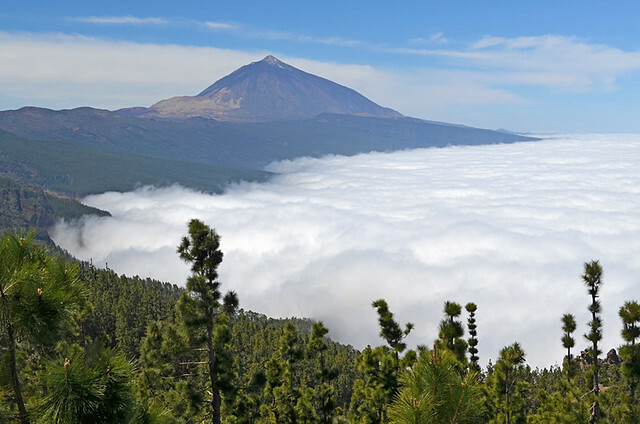 Don’t go seeking the sea of clouds when there’s cloud above Mount Teide. The best time is when dense cloud spreading to the horizon and beyond is stubbornly tucked into the hillside at around the 800/100m mark and, at the coast, all colour has been drained from the landscape. In the Orotava Valley that’s roughly where the last villages in the valley peter out and the pine forest takes over. The first stage involves a bit of a dreary drive with washed out views. This part makes what comes afterwards all the more jaw-dropping. 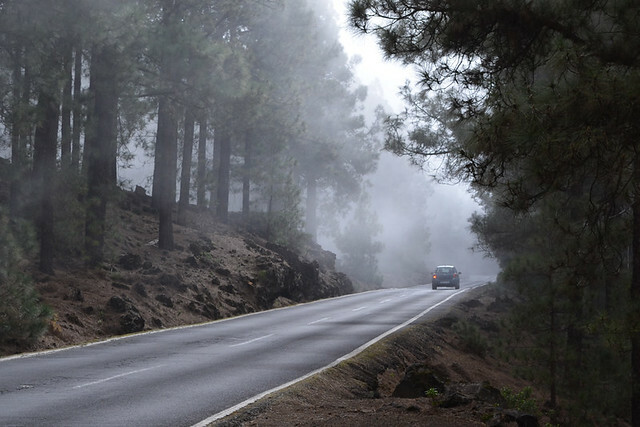 Driving into the clouds on the way to Mount Teide. Somewhere around 800m you start to see wispy fingers swirling around the trees. This rapidly turns into a pea-souper of a fog as the surroundings start to look more like a cliched horror movie scene – don’t stray from the path. It can be quite unsettling the first time you experience it, especially on narrow, winding country roads. 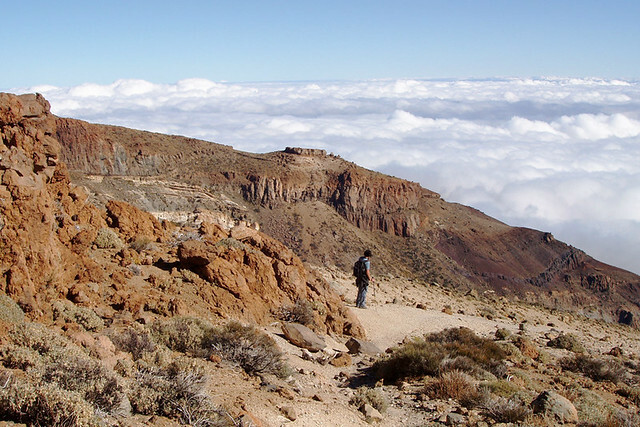 But it’s part of the mar de nubes experience and, thankfully, it doesn’t usually last long as the cloud layer which looks impenetrable from below is only a couple of hundred metres thick at most. Above the clouds. 1000m below this point was a thick, grey blanket. You barely get time to register breaks in the mist before it completely dissipates and you find yourself staring into the most intensely blue, cloudless sky. It is a WOW travel moment; the sensation similar to breaking free from the clouds in a plane, but doing so in a car. In some places you can get close to the cloud sea. Although breaking free from the darkness is quite something in itself, the crowning act is to find a spot where you can stand as close to the edge of the sea of clouds as possible. We’ve stood in the car park in La Caldera near Aguamansa and watched the cloud bunch up against the low wall right at our feet. Mirador de Mataznos, further along the TF-21, is also a good spot for sea of cloud gazing. 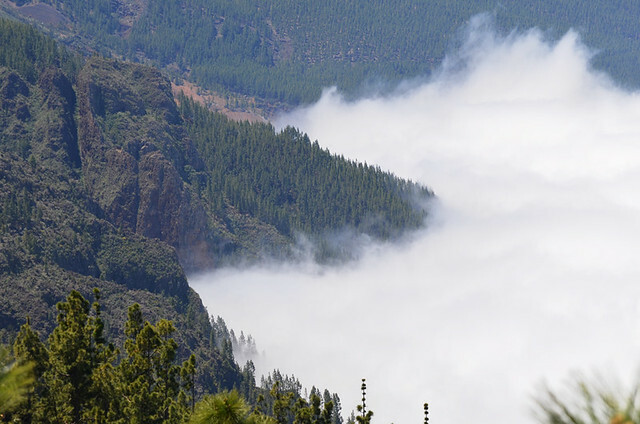 In fact, any mirador (viewpoint) looking down on the coast (or where it should be) above 1000m has potential; although the ones facing into the Orotava Valley are usually best. 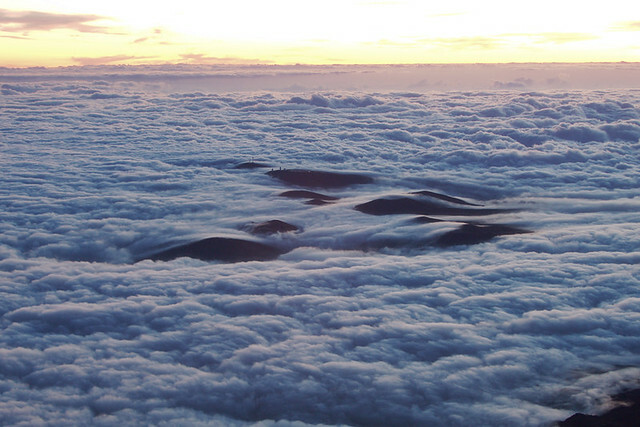 The ultimate view of the sea of clouds, from the summit of Mount Teide. Any number of popular holiday sun, sand and sea locations can tempt with the promise of warm sunshine. However, not many can boast a sea made from clouds for you to dip your feet into.